Carries a deep golden-colored hue with a nutty, buttery flavor reminiscent of toasted peanut or cashew. High in healthy mono- and poly-unsaturated fats and a rich source of vitamin E. A unique, healthy and very flavorful oil which is 100% unrefined and made from the first pressing of butternut squash seeds. Tasting Notes:Brush on roasted vegetables, grilled meats and fish. It's also a fun alternative to butter over popcorn, mashed potatoes or polenta. This amazing butternut squash seed oil enhances salads, sauteed veggies, grilled meat and seafood. Brush on warm bread, sprinkle on fresh fruit, in marinades and drizzle over ice cream. 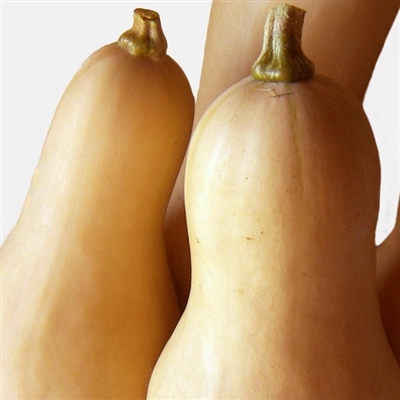 Butternut Squash Seed Oil is made from the first pressing of 100% non-GMO butternut squash seeds.